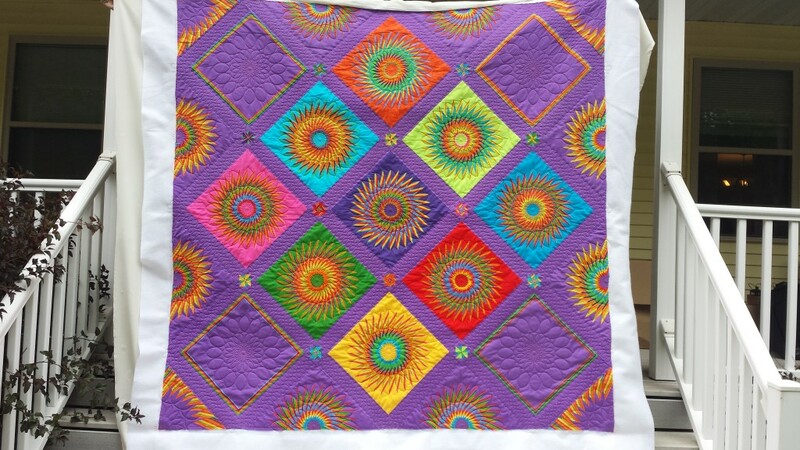 I was so excited to hear that a quilt made by one of our favorite quilters was featured on Phillips Fiber Art Blog. 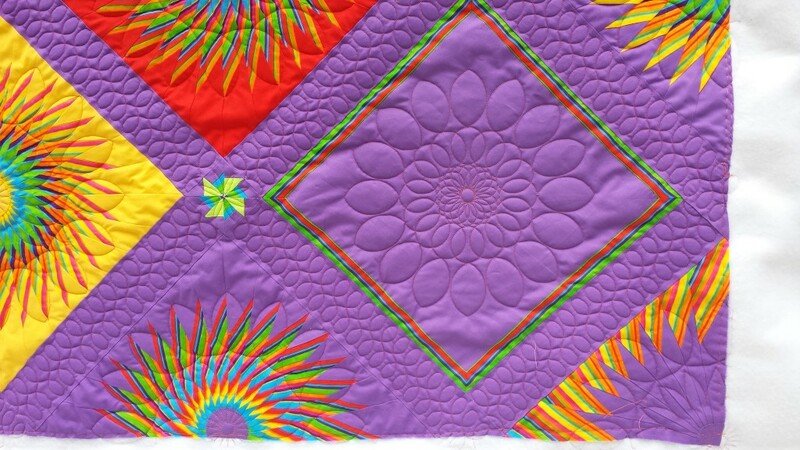 Bev’s love of bright colors makes her quilts a joy to quilt! When she brings us a quilt, she lets us pick the designs – just lets us go and ‘play’ with both the thread color and designs -it’s too much fun to be calledwork! Here’s the blog link if you’d like to check it out. It’s the December 2014 edition. After a 2005 house fire that was a total loss, Lori's family rebuilt on the same spot they had raised their children in since coming to Minnesota in 1996. In the process of choosing house plans, Lori and her sister Joni, began to dream. The dream included a quilt studio, a room large enough to hold a longarm quilt machine. Now after 6 years, the dream is a reality. Lori has quilted occasionally over the years as has Joni. For the last 13 years Joni has run a small sewing business out of her home making leotards for area gymnastic teams. Both sisters come from a family of quilters - mom, aunts, daughters and grandma have all built the tradition into the family. 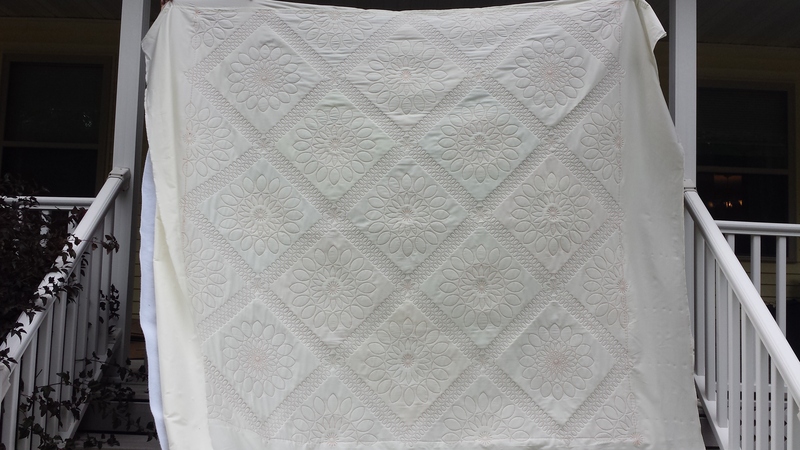 Now we are offering longarm quilt services for hire. 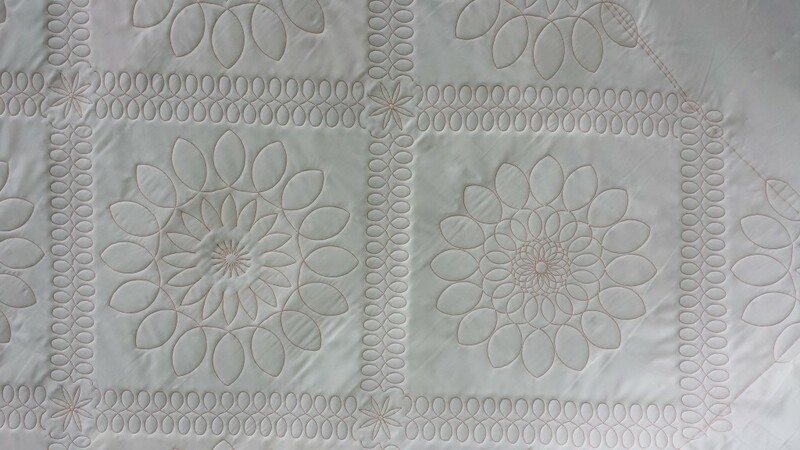 Please contact us in you have quilt tops that you need to have finished into quilts.